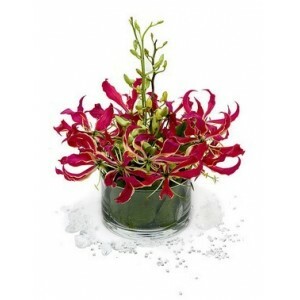 Vibrant mixture of rich orange and stimulating pink flowers arranged in a clear glass cube container. 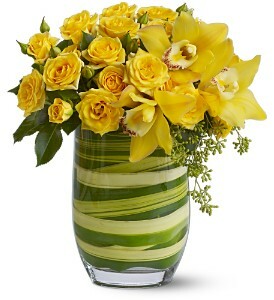 It’s a perfectly delightful way to express what’s on your mind. 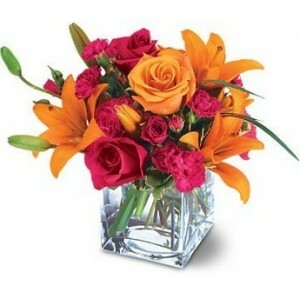 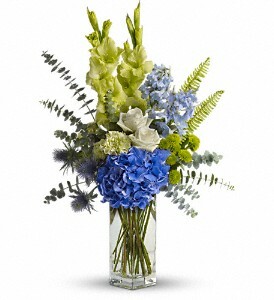 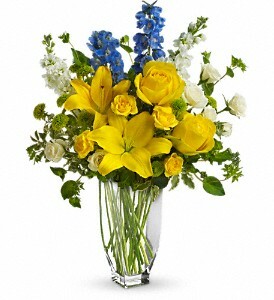 The designer’s choice is: orange Asiatic Lilies and Roses with hot pink Carnations and Roses. 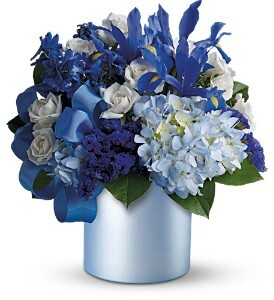 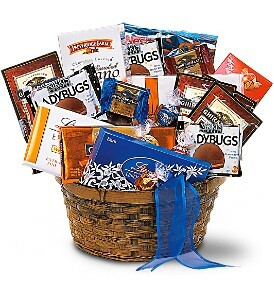 Categories: Corporate Gifts, Orange, Mixed Bouquets, Thank You. 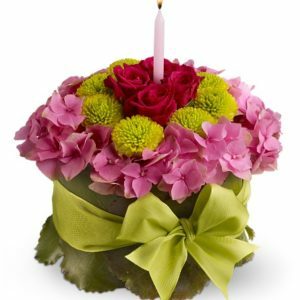 Nature’s beauty is a world of art unto itself; and green plants, brought indoors, allow us to live with that art on a daily basis. 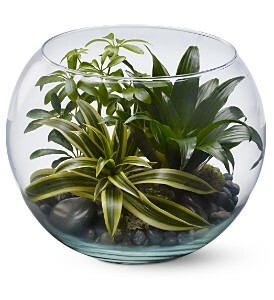 This clear glass bubble bowl with a selection of ornamental plants creates an oasis of tranquility, and would make an excellent office gift.